Tracy passed away peacefully with her mom by her side on January 31, 2019 after fighting cancer for one year. Tracy leaves to mourn in her passing her mother Joyce Hobson, her brothers Reg and Wesley; her children Diane, Kayla and Liam; her special grandson Maddox; her uncle Eric Robinson; her special friend of 18 years Fletcher Rogers; her special cousin Melissa; and her friend Leslie Kelemen (Red Deer, Alberta); as well as numerous aunts, uncles and cousins. Tracey is predeceased by her father Albert Robinson Jr.; step-father Richard Hobson; grandparents Joe McKinney and Mary Tukundum, Sally and Albert Robinson Sr.; Aunt Diane and cousins Daryl and Kelli. Tracy worked for Air Canada for 20 years until she retired. 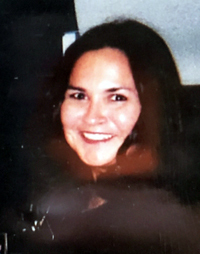 She also worked at National Leasing then Manitoba First Nation Resource Centre. She worked at H&R and MTS part time. Tracy followed the traditional ways. She loved attending Pow Wows and spending time with her children and grandson. A Traditional Wake will be held at the Swan Lake First Nation Hall on Sunday, February 3, 2019 at 4 p.m. Funeral Services will be held at the Swan Lake First Nation Hall on Monday, February 4, 2019 commencing with the feast at 12 noon. Cremation will follow and interment at the Indian Springs Cemetery will be held at a later date.